Following on from the release of the Piccadilly Pyjamas pdf two weeks’ ago and the printed pattern on Friday, I’ve finally gotten around to talking about the inspiration behind the pattern! I’ll share my inspiration below, as well as some testers’ beautiful versions and a few fabric suggestions. I’ve had the idea of designing an oriental pyjama set in my head from the beginning of Nina Lee. Being half-Chinese, traditional Chinese dress has always had an influence on my wardrobe, but I didn’t want to make something that felt costume-y or might to some be culturally appropriative. 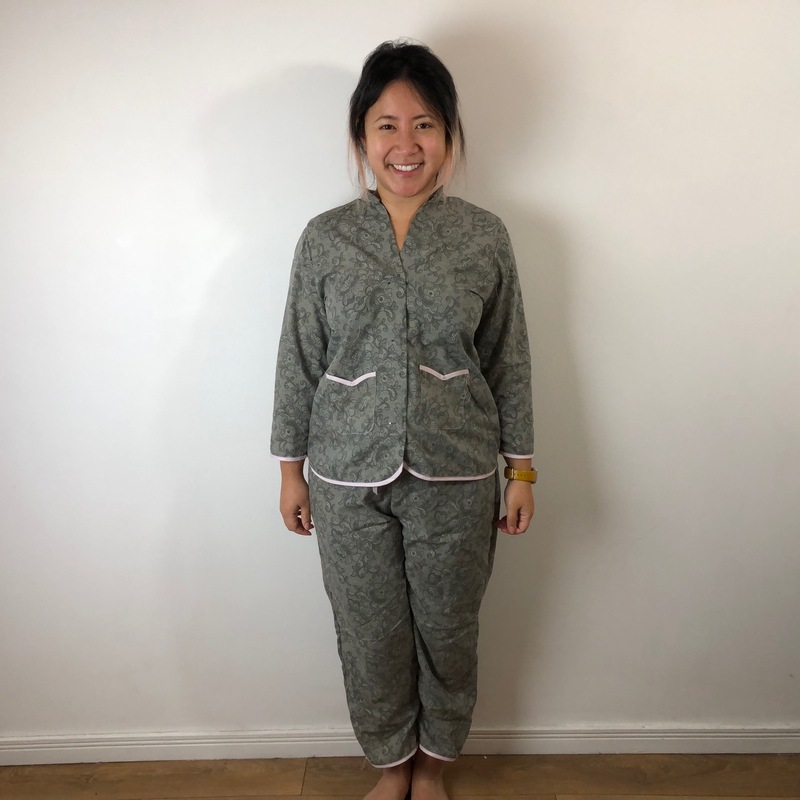 I looked back to pyjamas I’d worn when I was little, and the cotton pyjamas my Marmee (my step-grandmother) would often wear around the house in Singapore, and the design evolved from there. In Singapore as a child, I remember it wasn’t unusual to see ladies doing their morning shopping in their pyjamas; sometimes one of my aunts would take me early to the market without getting me dressed – leaving the house in my PJs felt endlessly novel and adventurous! So I also wanted to design a top that I felt might work for the current pyjamas-as-daywear trend; I think the cap-sleeved shirt of version 1 is particularly suited to this. I even think the pyjama trousers could work in linen as casual summer loungewear. Even as I completed the design I wasn’t 100% sure it was going to be anything other than rather niche, but the amazing response I had from my testers and their gorgeous versions had me feeling reassured! Laurène has got sophisticated lounging down to a tee. I love her use of contrast fabrics! 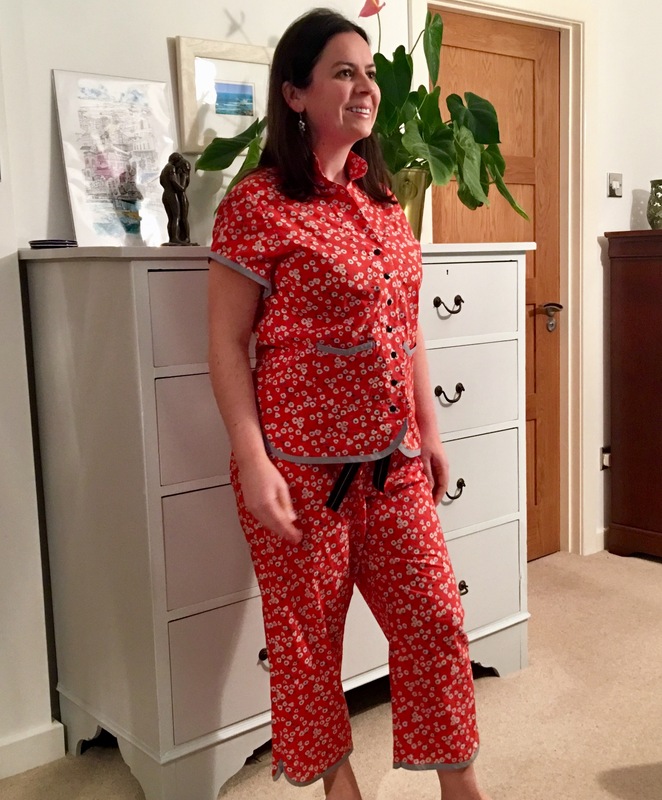 Emily made her version for Chinese New Year – it’s good luck to go to bed the night before in new pyjamas so you’re ready for a new start when you wake! Marie mixed and matched the three-quarter sleeve shirt and the shorts to make an adorable set! Likewise Ella paired the cap-sleeved top with the longer trouser; I actually nearly chose this fabric myself for the samples! Another dreamy fabric choice from Rebecca; I absolutely love the punch of the red binding and buttons! 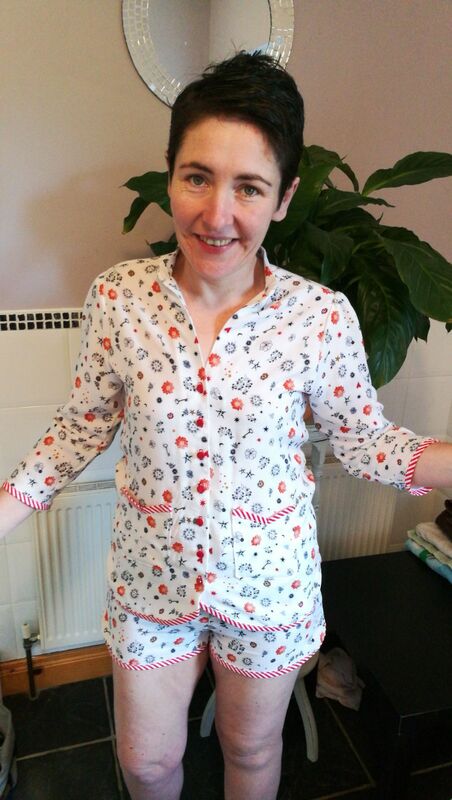 The wonderful thing about sewing pyjamas is you can go to town with those prints, fabric combos and colours that don’t go with anything else in your wardrobe, or that you might not wear out and about. 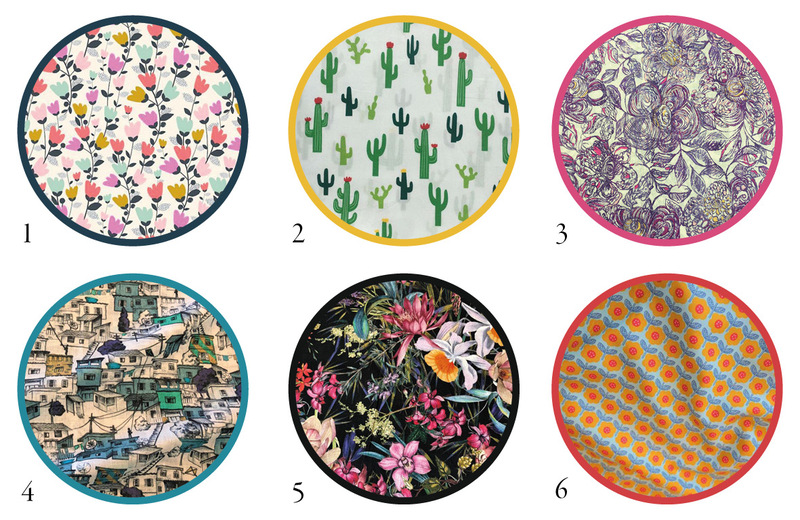 I’ve picked out just a few fabrics here that have caught my eye – and maybe inspire you too! 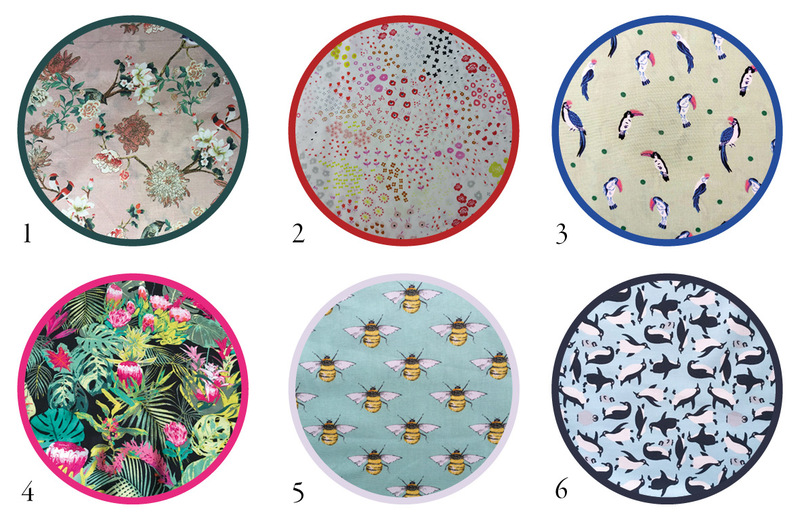 They’re all from my lovely stockists. 1. Sewalicious. 2 and 3: Sew Me Sunshine. 4, 5 and 6: Cotton Reel Studio. Fabricate Roberttown. 2. Sewalicious. 3. Sew Loco. 4, 5 and 6. Sewisfaction. « Pattern testers needed for the Piccadilly Pyjamas!